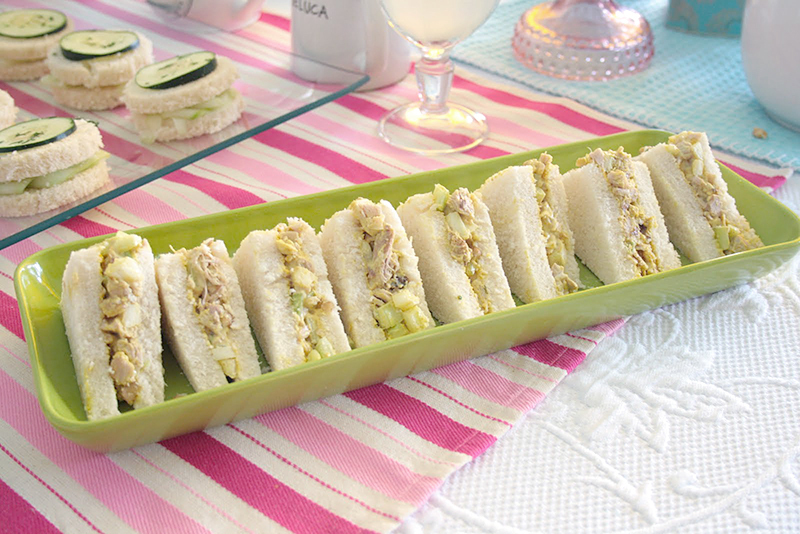 Chicken and curry sandwich, delicious for brunch, a snack or afternoon tea. Mix chicken, celery, mayonnaise, walnuts, salt and curry to taste. Spread each slice of bread with butter and add a little of the chicken mixture. Cut the sandwiches diagonally.